This Exercise, actually in five parts, was held in the summer of 1943 at the Orfordness Battle Training Area and is of interest as it clearly based on the drill of assault on strongly prepared positions established in Exercise Kruschen: Exercises Hedgehog I-V were held to study the action of an assault group of armoured fighting vehicles, Armoured Vehicles Royal Engineers (AVRE's) and infantry, supported by artillery, mortars and MMG's in the assault on a strongly defended position. Part I was a TEWT (Tactical Exercise Without Troops) while II and III where Skeleton Exercises to practice Command and Communications down to troop and platoon level. Parts IV and V were exercises with troops, to practice the attack. “The enemy posn consists of hedgehogs manned by coy gps incl Fd and A.Tk Arty, mortars, M.M.G’s and L.M.G’s. Weapons are sited in concrete and field emplacements and weapon pits. There are reinforced concrete personnel shelters with 6ft thick walls. The whole is enclosed in a mine marsh which includes belts of close spaced mines (A.Tk and A/Personnel) and there are stretches of ditch or wall across the best tk runs. Each locality is surrounded by a double belt of wire”. 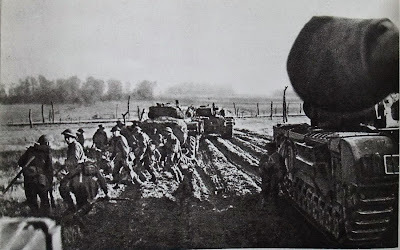 The basic drill was to clear lanes through the minefield with flail tanks, when the infantry then fought their way through the enemy position, supported by crocodile tanks. The drill used in these exercises was more or less that used in Europe in 1944. For example, on the assault on Le Havre, the attack opened up with bombing and an artillery barrage to soften up the defences. 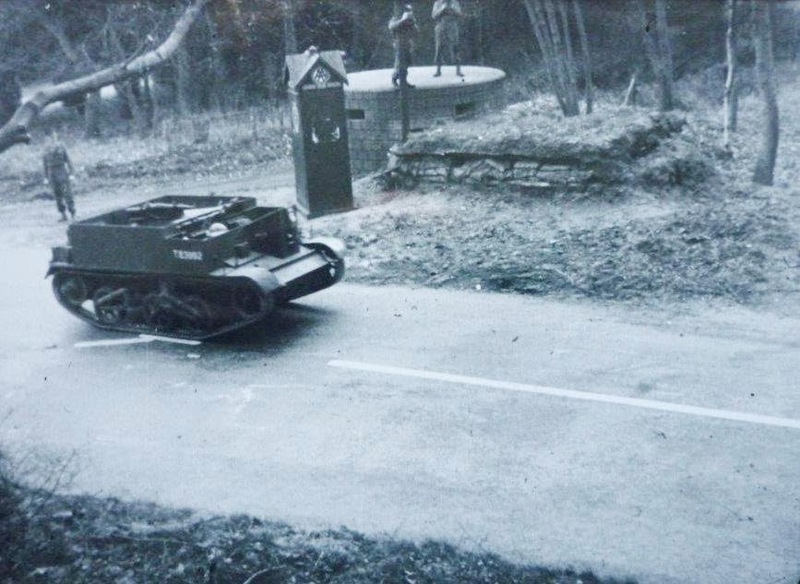 Flails were used to clear three lanes through the minefield, which then infantry and tanks supported by Crocodiles passed through to deal with individual strongpoints. 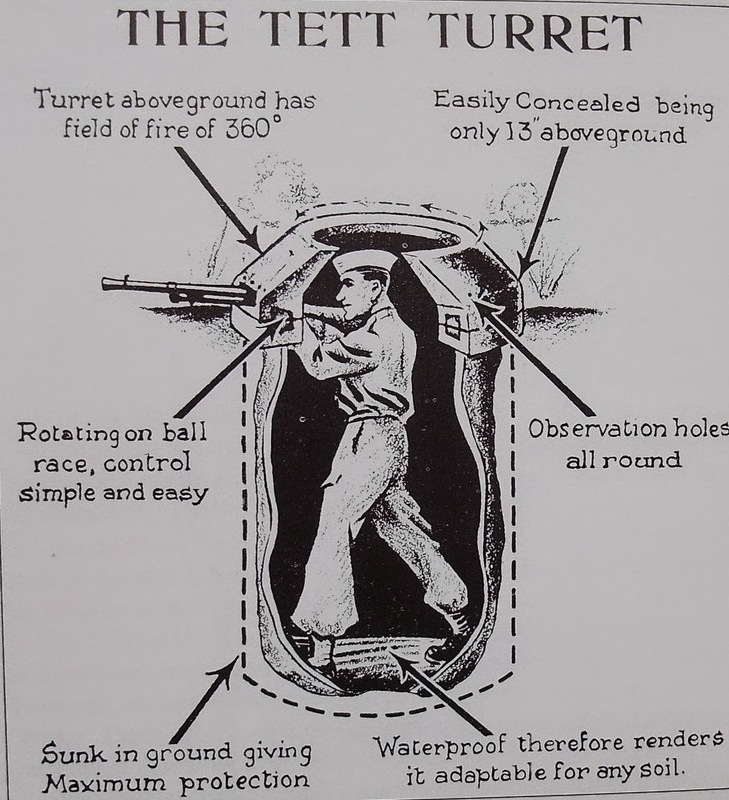 This technique can be traced back to Brigadier Wale’s drill developed in Kruschen, although at the time he only had the use of snakes to breach minefields and Ronsons instead of Crocodiles; the Kruschen drill involved clearing lanes through the obstacle when troops then fought their way through the hedgehog, supported by Ronsons and Engineers to deal with individual strongpoints. It is interesting to note that on one occasion, the attack on Boulogne, the drill was ‘reversed’, i.e. the infantry were to seize and hold a penetration through the “crust”, heavy bombers in great force being used to make the initial breaches. The exploitation was then to be carried out by three columns entirely armoured. Above: Infantry and tanks passing through one of the cleared lanes, Le Havre. Bottom image shows crocodile flame thrower tanks attacking an individual strongpoint. The Exercise is also of interest as it is easy to visualize the landscape where Part IV and V were held. The area for the Orfordness Battle Training Area was chosen well; it was sparsely inhabited, remote, and consisted of good country for tank training. 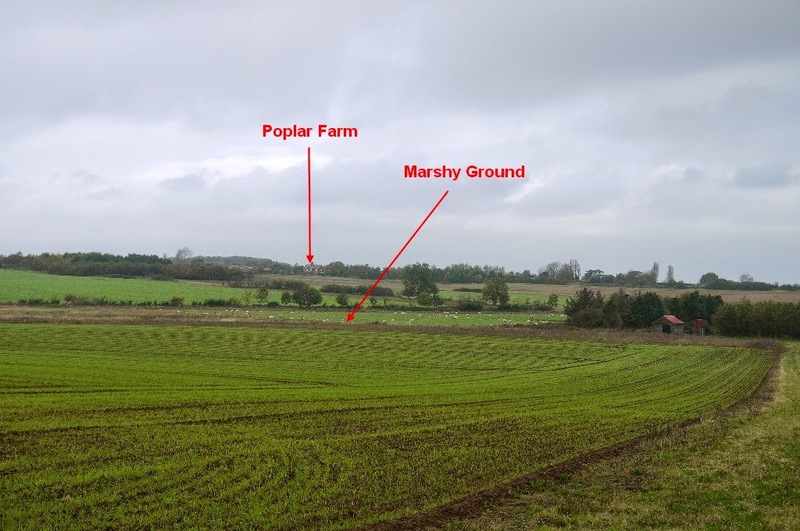 Today it is still reasonably sparsely inhabited, consisting mostly of arable land. When General Hobart was given command of the 79th Armoured Division, he was ordered to continue to develop the drill established in Kruschen, including the construction of replica German beach and inland defences. It is uncertain whether or not replica defences were constructed for Exercise Hedgehog, but if they were nothing remains today. 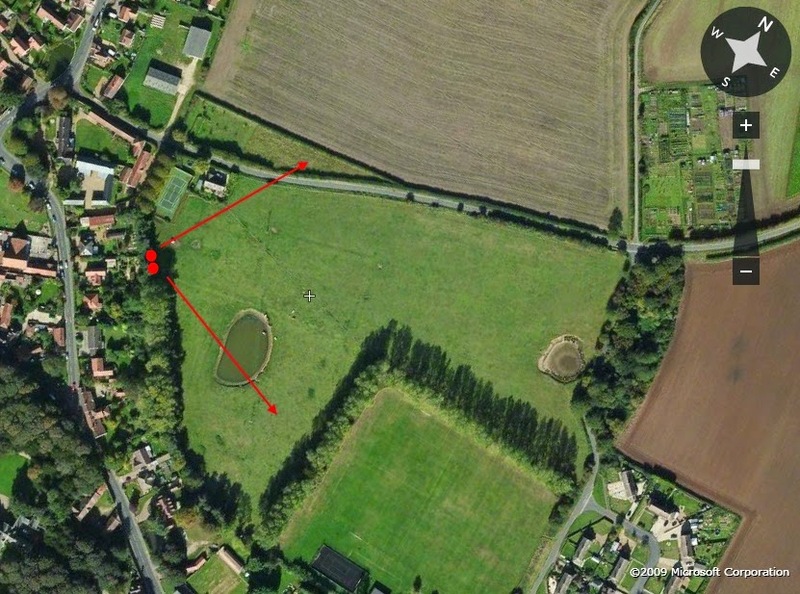 Above: Image 1 - aerial view of the ground over which Part IV and V took place. The buildings in the area where the F.U.P. and the Start Line are Poplar Farm. 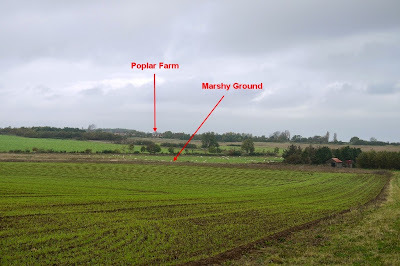 Image 2 - View of the area today, showing the Start Line at Poplar Farm and the "marshy ground" - see detailed map of Hedgehog "A"
Image 3: View of the ground today; Hedgehog "A" would have been in the foreground, Hedgehog "B" in the background. 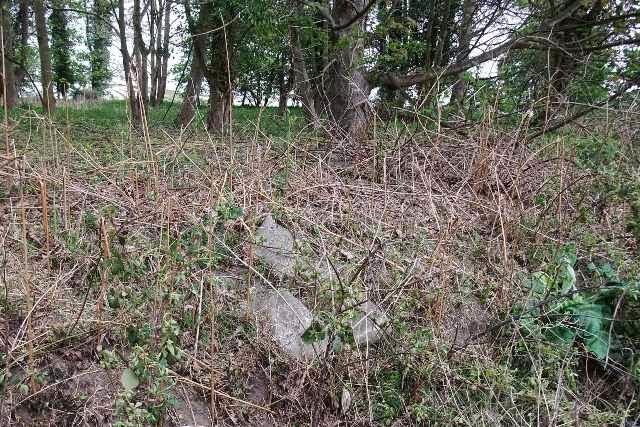 Looking at the posts in this thread, I don't seem to have posted an image of the anti-tank ditch as it was when I was doing the initial field work. Probably because it was in a dense forestry plantation! Drove past the ditch this Tue on a visit to Orfordness and noticed that the forestry plantation had been clear felled and the litter/stumps rowed up. Luckily the ditch does not seem to have been affected, and it is now much easier to visualize in the landscape than before. 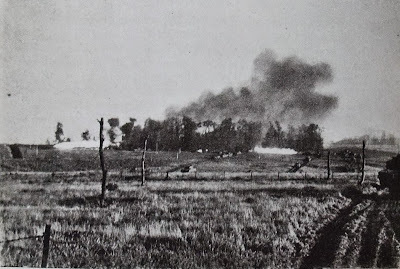 However the nearby anti-landing ditches did not fare so well in the forestry operations being much damaged, although it is still just about possible to trace them. 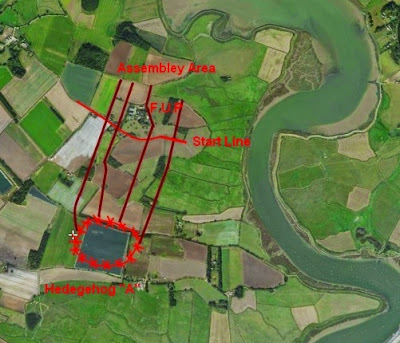 Above: Images of the anti-tank ditch used in this training exercise, July 2014. Last image shows lengths of what appear to be 2" scaffolding poles. Many traces of barbed wire were also found, although this just crumbled to dust when handled, the acidic sandy soil taking its toll. Ok, not WW2, but the story of 'Cobra Mist' is surely worthy of a post? At the height of the Cold War, the Pentagon was in the process of developing a number of intelligence gathering systems, one of them being 'Cobra Mist'. This was part of the 'Cobra' programme, a series of systems to monitor Russian and potentially Chinese missile tests. 'Cobra Mist' was an over-the-horizon 'backscatter' radar designed to bounce a strong signal off the ionosphere to cover a range of between 575 miles to 2300 miles to the east. Its purpose was to monitor aircraft, detect missile and satellite launchings behind the 'Iron Curtain'. If successful, it was hoped an early warning of a nuclear attack could be increased from 5 minutes to 15 minutes. It was essentially a private project between the US and UK Governments, largely excluding NATO. It was almost entirely funded by the US Government to the sum of anything between £35M - £55M. 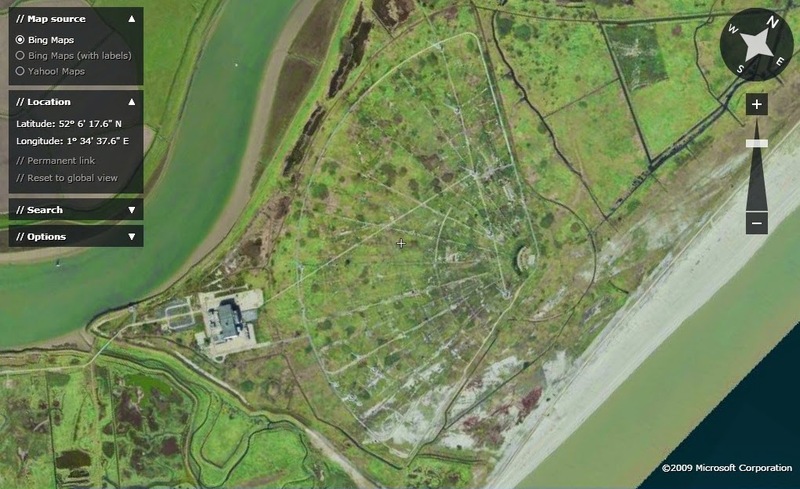 The construction site was on Orfordness, Suffolk, the contract being awarded to Balfour Beatty & Co as a concession to the British. Above: Planned coverage of 'Cobra Mist'. 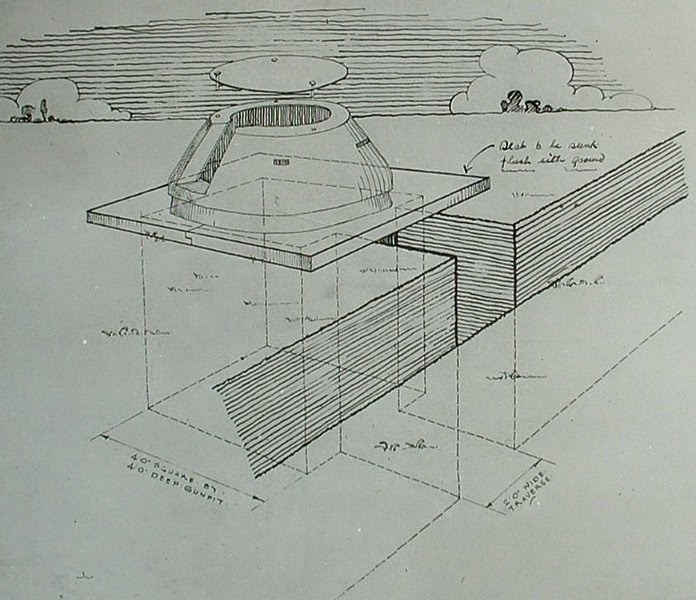 Such a construction project would not go unnoticed, and the purpose of this project was 'explained' as purely an ionospheric research station, the same explanation given for the development of RDF at Orfordness in 1935!! The construction programme began in in 1968, and at its height employed nearly 500 people. The system comprised a vast 18 string fan shaped antenna, consisting of 189 aerials arranged in a semicircular fan covering half a square mile facing directly at the Soviet Plesetsk missile testing site in north-western Russia. The transmission equipment was buried in a building known as the Ballum Pit and the receivers etc housed in a large building (known as the Integrated Technical Services Building) built on piles to protect against flooding. 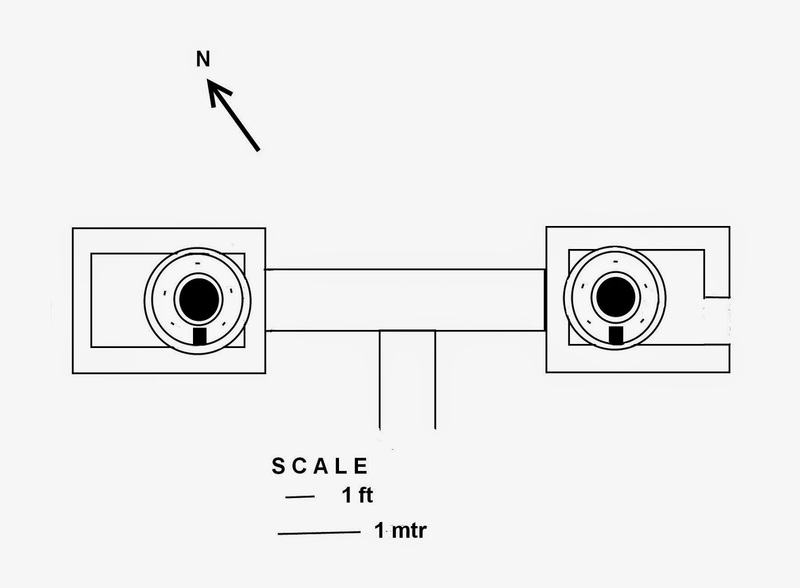 Above: Top two images show the fan-shaped array. Bottom image shows the ground net associated with the array made up of high quality aluminium wire and designed to cut out 'noise'. The 'Cobra Mist' project was run by the Signals and Intelligence specialists from the 81st Radio Research Squadron . The secrecy of 'Cobra Mist' has led to stories linking it to UFO's. The signals were so strong that ships were warned if they carried potentially explosive materials which could be exploded by sparks caused from static, an aircraft exclusion was set up, reports received of interference to TV signals and even a local bus company complaining that the 'death rays' were causing its buses to brake down! The building was taken over by BBC World Service (they have recently vacated it). Above: 'Cobra Mist' ITS building today, recently vacated by BBC World Service. 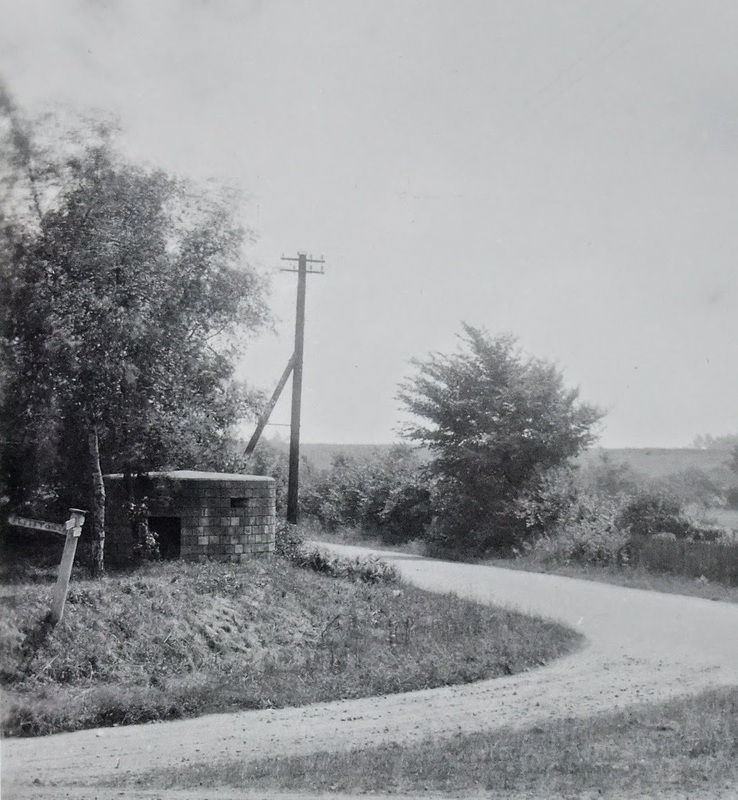 I thought I'd announce my latest venture, a look at the WW1 defences in Britain (with a Suffolk emphasis) with a quick post on the image of the pillbox on the home page of the new website. Above: Circular WW1 pillbox, Friston. Image taken in the 1930's. The Pillbox was incorporated into the Second War anti-invasion defences, as were many of the WW1 pillboxes. 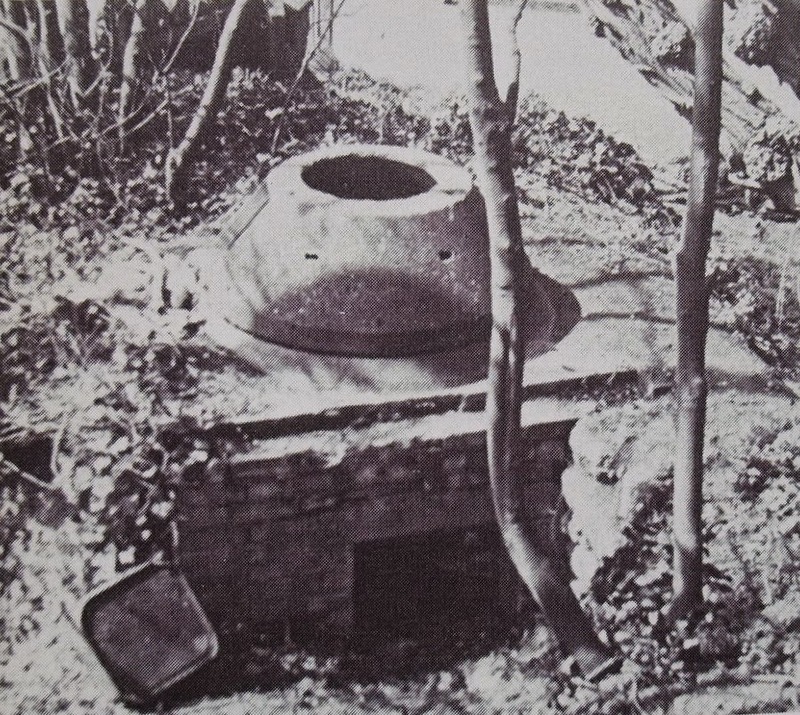 The same pillbox in WW2. However, sadly it was one of the many defences to have been demolished since WW2. 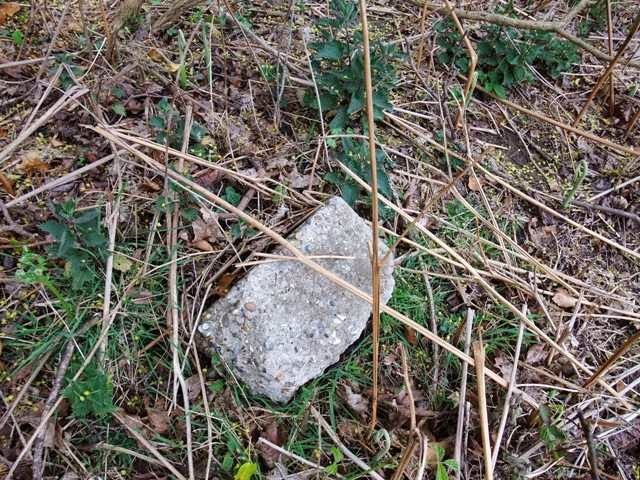 All that remains today are a few WW2 concrete sandbags and perhaps one of the concrete blocks from the pillbox itself. 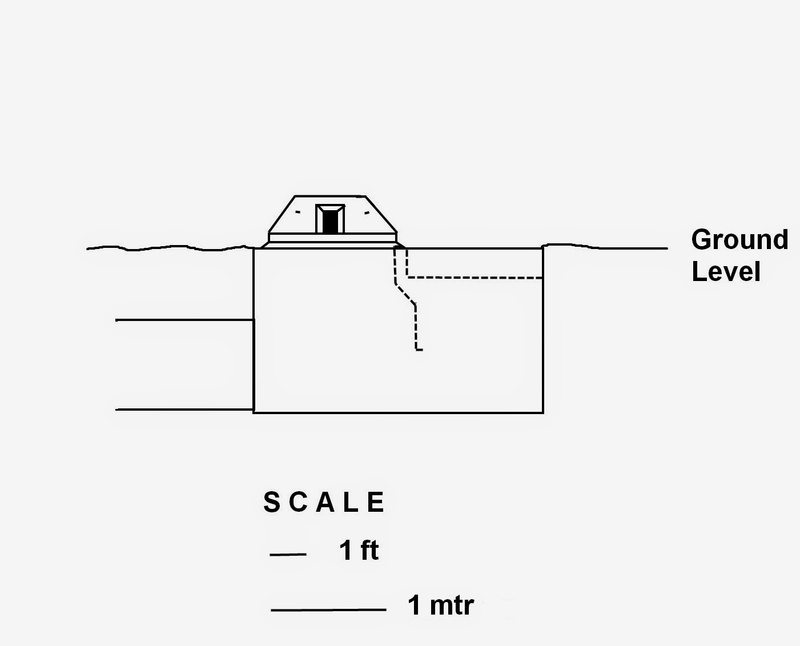 Above: Top - a few concrete sandbags. Bottom - one of the concrete blocks used to construct he pillbox? As with the other two sites, it is a continual work in progress, with many ideas for new pages. Just not sure when I'll get the time to run all three though!